Assignment: Radio reporter Cailey Dougherty visits the Fred Jones Jr. Museum of Art for the Tuesday Noon Concert Series, featuring Dr. Konstantinos Karathanasis. 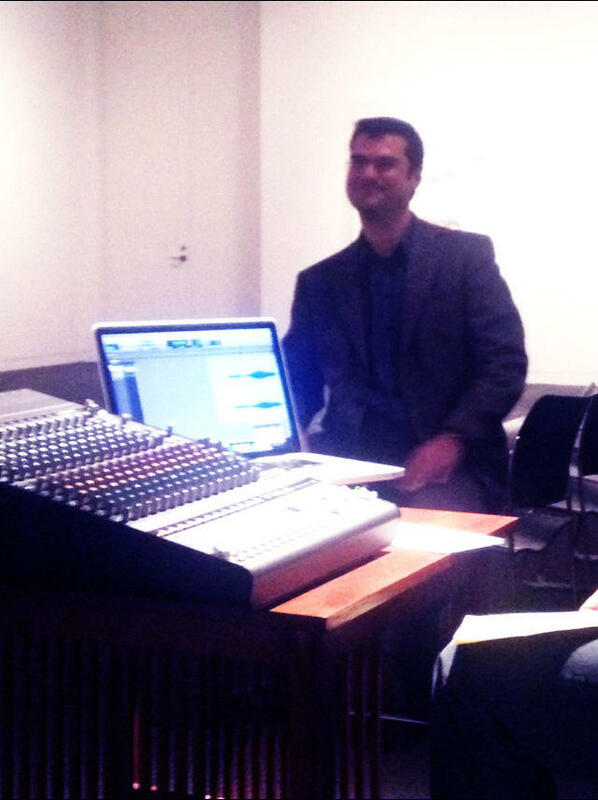 Dr. Konstantinos Karathanasis, performing at the Tuesday Noon Concert Series at the Fred Jones Jr. Museum of Art. While some might put music in a wholly different category than painting or sculpture, Karathanasis would argue that the two mediums are actually very much alike. Worth Middleton, a resident of Norman and regular patron of the museum, says he attends as many concerts as he can; he only missed one or two last semester. Dr. Karathanasis says he really enjoys when visitors like Middleton can come to concerts and experience his music with him. “We compose music, not just for our own sake, we compose music to be able to share it with other people.” said Karathanasis. Dr. Karathanasis’ music is not typical of the music performed by other artists in the Tuesday Noon Concert Series. His work requires hours of heavy editing behind a screen. The Tuesday Noon Concert Series will continue weekly through April 23, 2013. The U.S. Department of State assembled a collection of modernist paintings in 1946, to show the world America’s artistic coming of age and to illustrate the freedom of expression enjoyed by contemporary American artists. "Advancing American Art" became a lightning rod of controversy, described by some as subversive and un-American.